* The State Peace and Development Council (SPDC, the ruling military junta) is planning to hold an election in 2010. However, its objective appears to be legitimising its hold on power. * The junta seems to have softened its stance towards its main opponent, Aung San Suu Kyi, but there is little likelihood that she will be permitted to play a direct role in the planned election. * Several Western governments, most notably that of the US, will push ahead with a policy of engagement with the SPDC. However, sanctions will remain in place in the near future. * The junta will continue to run wide fiscal deficits in 2010-11. Despite efforts to reduce tax evasion, the government’s revenue base remains small, and it will continue to spend heavily on large projects that benefit the military regime. * After weakening in 2009 owing to a combination of domestic factors and the impact of the global recession, Myanmar’s economy will be sluggish in 2010-11. * Consumer price inflation slowed sharply in 2009 as a consequence of falling fuel and food prices, but it will pick up again in 2010-11. * The SPDC appears to be adhering to its plans to hold an election this year, but it has yet to set a date or provide details of the conditions under which it will take place. * In an apparent attempt to increase its relevance and make it more representative ahead of the planned election, in January the National League for Democracy appointed nine new members to its central executive committee. * The government’s fiscal position appears weak, with growth in domestic tax revenue slowing sharply in the early part of fiscal year 2009/10 (April-March). * The government has announced another round of salary increases for low-paid civil servants for the “sake of their living standards”. * Data on the volume of output at state-owned enterprises suggests that some sectors have performed sluggishly in recent months. For example, output of natural gas was up by just 1.1% in the first six months of 2009/10. * Consumer prices increased by 1% month on month in September. However, owing to high prices in the year-earlier period, Myanmar recorded a second consecutive month of year-on-year deflation in September. The State Peace and Development Council (SPDC, the ruling military junta) will continue to push ahead with its so-called road map to “disciplined democracy”, which has the objective of legitimising its hold on power. The process is set to feature a parliamentary election in 2010, which may be held in October. However, the poll, the first of its kind in two decades, is not expected to be free and fair, as the junta is likely to employ any means necessary, such as violently suppressing any signs of dissent and detaining its leading opponents, to ensure that it produces the required outcome. Although in recent months the junta appears to have softened its stance towards Aung San Suu Kyi, the popular leader of the main opposition National League for Democracy (NLD), permitting her to meet members of her party, the junta’s liaison officer and foreign diplomats, the SPDC is not thought to have shifted its position on its dealings with her party and other opposition groups. There have been numerous false dawns in recent years, when the junta has seemingly displayed a willingness to adopt a more conciliatory approach to dealings with the opposition, only to revert to its hardline stance once it has managed to quell international criticism. Even if Aung San Suu Kyi were to be freed through a successful appeal in the coming months, under the current constitution she cannot contest the election as she was once married to a foreigner. Moreover, the junta would be likely to seek other means to restrict her freedom and prevent her from rallying her supporters ahead of the election. In view of the fact that she remains a popular figure who draws widespread support, her release would seriously undermine the junta’s efforts to control every facet of the planned election, including the result. There is little doubt that the generals’ overarching objective is to cement a role for the military in government, both directly through civilianised military leaders and indirectly through pro-military political parties created to bolster support for the unpopular regime. There are also provisions in the 2008 constitution that guarantee that 25% of the seats in the national parliament (which has yet to be established) are reserved for the military. Genuine opposition groups, such as the NLD, remain in a difficult position, assuming that they will be allowed to contest the election. Their dilemma is clear: if they boycott the poll, they will achieve the aim of severely undermining the legitimacy of the election’s outcome, but will run the risk of being unable to challenge the junta in any formal setting. However, if opposition parties do take part in the poll, the junta’s policy of intimidation of voters and manipulation of the electoral system will ensure that its opponents fail to win a significant share of power. Unlike in 1990, when the NLD won a landslide victory in a disputed election, this time there is little chance of a surprise. Although the most likely scenario in 2010-11 is that the junta will remain in control, there could be a degree of volatility. There are underlying pressures—not least those stemming from economic hardship—that could build and eventually prompt sporadic shows of public defiance. The junta’s efforts to exert full control over the border regions, which are populated and controlled by a large number of ethnic-minority groups, could also result in fresh crises. Tension is escalating in several areas (even where ethnic-minority groups have signed ceasefire agreements with the regime) because of the junta’s new policy of forcing these groups to transform their armies into militias under the control of the SPDC before of the election. Most are reluctant to do so, as they see their armed wings as a guarantee of at least a degree of autonomy. If the SPDC pursues this policy too aggressively, a number of the ceasefire agreements are likely to collapse. Perhaps the biggest threat to the junta’s long-term grip on power is internal strife. The SPDC’s chairman, Senior General Than Shwe, still looks to be firmly in control, while his close ally, the chief of staff of the armed forces, General Thura Shwe Mann, appears to be the man most likely to succeed him at the junta’s helm. However, a post-election shuffle of positions, which will include appointments to the new posts of president and vice-president, could prove destabilising. There is much uncertainty about the future role of General Than Shwe. He could decide to eschew any formal position and instead seek to create a new, all-powerful role above those defined in the constitution. In the face of the SPDC’s intransigence, several Western governments have shifted their policy towards Myanmar from one of isolation to one of tentative engagement. The US government is pursuing such an approach, seemingly in the hope of increasing its influence over the country. However, the US maintains that its dialogue with the junta will supplement rather than replace sanctions. Myanmar’s fellow members of the Association of South-East Asian Nations (ASEAN) continue to avoid overt criticism of the junta, instead offering support for efforts towards national reconciliation. China will continue to use its power of veto in the UN Security Council to prevent the body from censuring the SPDC, but relations between the junta and the Chinese government will be tested if the SPDC pursues its offensive against ethnic-minority groups in the regions of the country that border China. The junta’s management of the economy will remain poor. Unlike most other governments in Asia, the junta has not implemented any fiscal stimulus measures to help to offset negative consequences of the global economic downturn. This could be because the junta does not accept that Myanmar’s economy has suffered, but it may also be that its priorities lie elsewhere, such as strengthening its military capability or completing the construction of its new administrative capital, Naypyidaw. On the fiscal policy side, the government is likely to remain focused on spending heavily on the military while pursuing few policies to support households and businesses. Meanwhile, the readiness of the Central Bank of Myanmar to print money to finance the government’s deficits means that monetary policy is in effect unavailable as a tool with which to steer the economy. The junta will continue to run wide fiscal deficits in 2010-11. Despite efforts to reduce tax evasion, the government’s revenue base remains small, and it will continue to spend heavily on large projects (such as the development of Naypyidaw) that provide benefits to the military and its leaders, borrowing funds from the central bank and other sources to support such schemes. Expenditure may also rise ahead of the 2010 election if the junta decides to go on a populist spending spree (it has recently increased salaries for low-paid civil servants), but it is more likely that the junta will favour a policy of spending to bolster its capacity to suppress opposition and ensure that the election produces the required result. Although the junta set aside additional funds for the reconstruction effort following the devastation caused by Cyclone Nargis in May 2008, the cost of reconstruction and other programmes is being borne mainly by international donors. The central bank does not tighten monetary policy significantly, even in periods of high inflation, meaning that interest rates will remain low in real terms. The bank made a surprise change to interest rates—the first adjustment for five years—in April 2006, raising its leading indicator rate by 2 percentage points, to 12%. There have been no further changes since then. The bank remains reluctant to tighten monetary policy aggressively, as it is not operationally independent from the government and is therefore keen to avoid increasing the public sector’s debt-servicing burden. The global economic picture has continued to improve, with many economic indicators now performing better than had been expected. Although there is a risk of a renewed slowdown in growth in 2011, at purchasing power parity exchange rates the Economist Intelligence Unit expects the world economy to expand by 3.6% in 2010 and by 3.5% in 2011, following an estimated contraction of 1.0% in 2009. We expect international oil prices (dated Brent Blend) to rise in 2010 and then to fall in 2011. The pace of growth in Myanmar’s economy will accelerate in 2010-11, having slowed in 2009 owing to a combination of domestic factors and the impact of the global recession. However, the domestic economy (excluding the oil and gas sector) will remain sluggish. Agriculture, which was hit hard by Cyclone Nargis in 2008, will continue to struggle to grow rapidly because of a lack of investment and poor access to important inputs and equipment. However, owing to favourable weather conditions national rice output has been stronger than expected in the past year. The post-cyclone aid-funded rebuilding effort has boosted construction, and growth in this industry will remain strong. However, manufacturing will continue to be troubled, reflecting the lack of access to inputs and capital for investment, while weak external demand has compounded the difficulties facing export-oriented manufacturing firms. Production of natural gas has plateaued and will not record further strong growth until new fields come on stream; this will not happen until 2013 at the earliest. Mining operations will continue to be hampered by lacklustre global demand and the impact of sanctions on international trade. The outlook for growth in private consumption and investment by local enterprises is also fairly bleak. Consumer spending is constrained by low average incomes and a lack of confidence, owing to price instability and the weak free-market exchange rate. Consumption in 2009 was depressed by a drop in farm incomes (amid falling commodity prices) and by a decline in official and unofficial remittances from workers overseas as a result of job losses suffered by Burmese nationals employed abroad. Such trends will continue for much of 2010. Foreign interest will be maintained in energy, mining and petroleum projects, particularly from Chinese firms. However, other sectors will struggle to attract substantial foreign direct investment in the outlook period. Consumer price inflation slowed sharply in 2009, falling to an estimated average of 6.5%, in line with declining fuel and food prices. But the rate of inflation will pick up again in 2010-11, to an annual average of almost 12%. (The Central Statistical Organisation recently rebased its consumer price index, resulting in a sharp downward revision to the year-on-year measure of inflation. However, our inflation series does not yet incorporate this change.) Although supply-side price pressures will not be as strong as in 2008, the central bank is set to continue to fund the government’s budget deficit by printing money, and the consequent growth in domestic credit will push up the general price level. The free-market value of the kyat has weakened in recent weeks, dropping back to Kt1,050:US$1, having appreciated to around Kt960:US$1 in the previous couple of months. We expect the kyat to return to a depreciating trend in the next two years. Although the merchandise trade surplus will remain fairly high, the potential for political instability will undermine confidence in the kyat, while the relatively low level of inward remittances from overseas Burmese will offset further cyclone-related aid inflows. Export revenue will edge upwards in 2010-11. Revenue from exports of natural gas, the main export earner, will remain fairly stable until new fields come on stream (in 2013 at the earliest), but other important exports, such as pulses and timber, will rise in line with a recovery in regional demand. The import bill will also grow in 2010-11, partly owing to an increase in prices for imported petroleum products. Meanwhile, the post-cyclone reconstruction programme and the development of petroleum and hydropower projects mean that there will continue to be demand for imports of building materials and machinery. The merchandise trade surplus will be large enough to offset the combined deficit on the services and income accounts in 2010-11. As a result, the current account will remain in surplus. a Economist Intelligence Unit estimates. b Economist Intelligence Unit forecasts. c Fiscal years (beginning April 1st of year shown). d Actual. e Fiscal years (beginning April 1st of year shown); at free-market exchange rate (which understates the size of GDP). f Official rate (there is a wide differential between the official and free-market rates). g Free-market rate. The State Peace and Development Council (SPDC, the military junta) appears to be adhering to its plans to hold an election in 2010, but it has yet to set a date or pass election-related legislation. In his national address on January 4th, the country’s Independence Day, the SPDC chairman, Senior General Than Shwe, confirmed that the junta was continuing to implement its seven-stage roadmap for the Myanmar’s transition to a democracy. He stated that plans were under way to hold an election in 2010, and added that people had to make the “correct choices” at the ballot box. It remains uncertain which opposition parties will take part in the election (if they are permitted to do so), but there is speculation that a pro-junta mass-membership social welfare organisation, the Union Solidarity Development Association (USDA), will form a number of parties ahead of the election. The USDA, which was established by the junta in the early 1990s, is one of a number of core organisations that has the task of giving people “political leadership”. Although the junta has yet to announce a date for the election, in early January a Japanese daily newspaper, The Asahi Shimbun, cited a source in the junta as saying that the election would be held on October 10th. Supporting this, after meeting his Myanmar counterpart, Nyan Win, in Vietnam in mid-January, Thailand’s foreign minister, Kasit Piromya, said that he thought the election would probably be held in the second half of the year. He stated that Nyan Win had revealed that the junta had already completed 60-70% of new legislation governing the election and political parties. Kasit’s meeting with Nyan Win took place at a gathering of foreign ministers from the Association of South-East Asian Nations (ASEAN). Following the meeting of ASEAN foreign ministers, the group’s secretary-general, Surin Pitsuwan, said that Nyan Win had assured the group that the SPDC was continuing to make progress with its election preparations and that the election would be “free, fair and credible”, although no date had been set for the election. However, the continued detention of 2,000 or so political prisoners undermines its claims that the poll will be free and fair. A number of foreign governments have been calling on the junta to release the prisoners ahead of the election, making special mention of Aung San Suu Kyi, the leader of the main opposition National League for Democracy (NLD). She has been detained (mostly under house-arrest) since May 2003, and for 14 of the past 20 years. In August 2009 she was put under house-arrest for a further 18 months, after being found guilty of breaking the terms of her previous detention order. In January Japan’s foreign minister, Katsuya Okada, urged the junta to release Aung San Suu Kyi and to hold a fair election. This followed a personal letter from the UK’s prime minister, Gordon Brown, to the NLD leader, in which he said that if the elections proceeded with opposition leaders excluded the junta would be condemning the country to “years of diplomatic isolation and economic stagnation”. The junta has responded this international pressure by holding talks with the NLD leader. Aung San Suu Kyi recently had another meeting with the junta’s “liaison officer”, Aung Kyi, a retired major-general who also holds the post of labour minister. The talks, which were held on January 13th, followed a meeting in mid-December 2009 and two meetings in October. Although no details of the discussions between the NLD leader and the junta’s liaison officer have been revealed, it is possible that Aung San Suu Kyi has pushed for talks with General Than Shwe. In what appears to be an attempt to increase the party’s relevance and make it more representative ahead of the planned election, in January the NLD appointed nine new members to its central executive committee. Prior to this there had been speculation that the NLD would replace several of the elderly members of the original 11-member committee, nine of whom are in their eighties and nineties, and some are in poor health. However, instead of this (and seemingly to avoid setting the precedent of forcing ageing members to retire from leadership positions), the party enlarged the committee, stating that this was aimed at increasing the party’s work and “efficiency”. Shortly after expanding the committee, the party also revealed that it planned to re-establish a second tier of leadership, a central committee that would have 80 to 120 members who represent all of the country’s states and divisions. Party officials have denied that the leadership reorganisation was part of the NLD’s preparations for the forthcoming election. 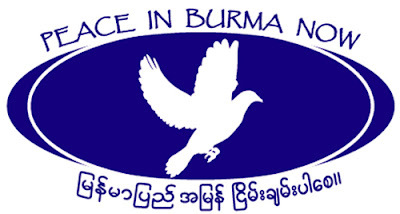 However, moves to bring in younger members to steer to the party in the build-up to the planned election appear to be regarded by many NLD members as necessary to bolster its position as the mainstream opposition party. The NLD has yet to make clear its plans for the election, and it remains uncertain whether the party will contest the poll if it is allowed. In its official statement to mark Independence Day, the NLD focused on the need for the country to undergo a process of national reconciliation. It outlined its general demands, which included the release of Aung San Suu Kyi and all other political prisoners, greater political freedom, and changes to allow political parties to open offices and operate without restrictions. The NLD chairman, Aung Shwe, has also urged the party’s members to stand by its Shwegonedine Declaration, which includes the demand that the junta amend the 2008 constitution before it would agree to participate in the election. Meanwhile, General Than Shwe has insisted that all political parties will have to operate under the current charter. The government’s fiscal position appears weak, with growth in domestic tax revenue slowing sharply in the early part of fiscal year 2009/10 (April-March). According to data from the Central Statistical Organisation (CSO), central government tax revenue (excluding customs duties) rose by 2.5% year on year in September, pulling average growth in the first six months of 2009/10 down to 4.5%. (In the whole of 2008/09 tax revenue rose by nearly 14%.) Although a sharp slowdown in inflation is part of the reason for the deceleration in tax revenue growth in nominal terms, the latest trend suggests that the domestic economy remains lacklustre, with revenue from income and profit taxes contracting by 2.1% in April-September 2009, to Kt233.2bn (US$43.2bn at the official exchange rate or US$205m at the free-market rate). However, revenue from commodity, services and commercial taxes rose by 10.5% to Kt174.8bn, while revenue from lottery and stamp duties also continued on an upward trend. Meanwhile, customs duties plunged by 59% year on year to Kt16.6bn in April-September, with duties from border trade (small-scale trade with bordering countries) plummeting by 84% to Kt4.1bn and revenue from “normal” trade (which goes via pipelines, sea or air) falling by 15.8%. Although data on the overall fiscal position are not available, the government has continued to sell bonds, which suggests that its overall position is in deficit. At the end of September the total value of outstanding three- and five-year bonds had reached Kt896bn, up from Kt297bn at the end of 2008/09. The government also commenced issuance of two-year bonds on January 1st 2010, with a yield of 10.5%. Initial demand among individuals, businesses and banks appeared to be strong. The government has announced another round of salary increases for low-paid civil servants for the “sake of their living standards”. The increase, which came into effect in January, is fixed at Kt20,000 (around US$3,700 at the official exchange rate or US$17.5 at the free-market rate) a month for civil servants earning between Kt15,000 (the bottom end of the pay scale) and Bt200,000. The wage adjustments will benefit around 100,000 employees. Despite a sharp increase in civil servants’ pay in early 2006, a further adjustment in salaries was overdue, as recent high rates of inflation (which averaged 27% a year between 2006 and 2008) have severely eroded salaries in real terms, with wages for civil servants failing to keep pace with the cost of living. Low real remuneration for civil servants is thought to be a major contributory factor to the endemic nature of low-level corruption in the country, while many civil servants take on second jobs to supplement their main income. Although the junta has stated that the recent pay rise was intended to help civil servants to cope with the higher cost of living, it may also have been driven by political factors, given that the junta is planning to hold an election in 2010. However, the recent pay rise was not as great as the one that came into effect in April 2006. Then, the Ministry of Finance and Revenue increased the salaries of civil servants and military officers by between 500% and 1,200%. Wages for high-ranking officials subsequently rose from Kt10,000-Kt16,000 a month to a between Kt120,000-Kt200,000 a month, while at the lower end of the scale, salaries rose from Kt3,000-Kt3,500 to around Kt15,000-Kt20,000 a month. Owing to the lack of comprehensive data on output and expenditure, it remains difficult to assess current trends in domestic economic activity. However, the available data on the volume of output at state-owned enterprises suggests that some sectors have been sluggish recently. According to the CSO, output of natural gas (Myanmar’s main source of export revenue) fell by 5.7% year on year in September 2009, and was up by just 1.1% in the first six months of 2009/10. Meanwhile, output of crude oil dropped by 6.3% year on year in September, and was up by just 1.2% in April-September. In an indication that the construction sector may be slowing after seemingly growing strongly in recent years, output of cement dropped to its lowest level in 12 months in September, pulling down average growth in the first six months of 2009/10 to 4.2%. Fertiliser output growth also slowed in September, dropping to 2.6% year on year. However, as growth in the first six months of the fiscal year stood at 55%, the agricultural sector appears to have remained fairly buoyant. The small-scale manufacturing sector seems to be picking up. Output of cotton fabrics increased by 16.5% year on year in September and by 10.3% year on year in April-September. Output of cotton yarn was also up in the first six months of 2009/10, by 3%. However, the mining sector remains weak, and is still suffering in the face of weak global demand and US sanctions (which were tightened in mid-2008 to make it harder for traders to ship gems from Myanmar via third countries). In April-September production of gems (excluding jade) plummeted by 65% year on year, while output of jade was down by 17.8%. The drop in prices on a year-on-year basis primarily reflects the fact that prices for food, which have the heaviest weighting in the CPI, remain below their year-earlier highs. In September 2009 food prices were down by 2.5% year on year, bringing down average food price inflation in the first nine months of the year to just 0.2%. In September prices for clothing and footwear rose by 4.5% year on year and prices for fuel and light by 1.8%. Prices in the house rent and repairs category of the CPI increased by 24.7% in September, and were up by an average of 25.5% in the first nine months of 2009. Myanmar’s export revenue continues to fluctuate sharply on a monthly basis, primarily owing to the uneven nature of receipts from the country’s gas exports. In September total export revenue fell by 18% year on year to Kt2.2bn, according to trade data from the CSO. Nevertheless, owing to the solid performance in previous months (exports reached Kt4.8bn in August), export revenue was up by 15.2% on a year-on-year basis in the first nine months of 2009. The downturn in total export revenue in September was mainly due to a fall in receipts from natural-gas exports, which, at Kt702m (US$130m at the official exchange rate or US$615,000 at the free-market rate), were around one-half of the monthly average of Kt1.4bn that was recorded in the first eight months of the year. In January-September gas exports amounted to Kt10.1bn, representing a year-on-year increase of 20.7%. This growth was driven solely by price rises; in volume terms gas exports were down by 9.5% in the first nine months of the year. The import bill remains high—in September it was up by 77% year on year to Kt2.1bn, and in the first nine months of the year it rose by 29% to Kt20.3bn. Myanmar continues to rely heavily on imported petroleum products, the cost of which amounted to Kt3.8bn in January-September, a year-on-year increase of 30%. It also relies on imports of capital goods—in the first nine months of the year imports of non-electrical machinery and transport equipment soared by 73% to Kt5.6bn. Owing to the continued growth in imports and the drop in export revenue, Myanmar recorded only a small merchandise trade surplus in September, of Kt183m. In January-September the trade account recorded a surplus of Kt8.3bn, compared with a surplus of Kt9.1bn in the year-earlier period. Myanmar’s tourism industry remains underdeveloped compared with those of most other countries in South-east Asia, in part owing to the regular campaigns by human rights and pro-democracy groups in a number of countries urging tourists to stay away from the country. Tourist interest in the country has also been limited by concerns over political stability following mass protests against the military regime in August-September 2007 and the impact of Cyclone Nargis in May 2008, which killed around 130,000 people and devastated the southern delta region. However, recent local media reports suggest that hotel operators, buoyed by recent growth in arrivals and higher occupancy rates, are optimistic that the industry’s fortunes will continue to improve. The latest CSO data show that total tourism arrivals rose by just 2.2% year on year in January-September 2009, but that arrivals by air increased by 21.7% to nearly 86,000. Meanwhile, data from the Ministry of Hotels and Tourism show that tourist arrivals rose by 10% in January-October. Although recent problems in the country have curtailed foreign investment, two foreign invested projects in the tourism sector, each worth around US$15m and backed by Thai investors, gained formal approval in the first nine months of 2009.
a Actual. b Economist Intelligence Unit estimates. c Economist Intelligence Unit forecasts. d Fiscal years (beginning April 1st of year shown). Sources: Central Statistical Organisation, Selected Monthly Economic Indicators; IMF, International Financial Statistics. Sources: IMF, International Financial Statistics; Haver Analytics.